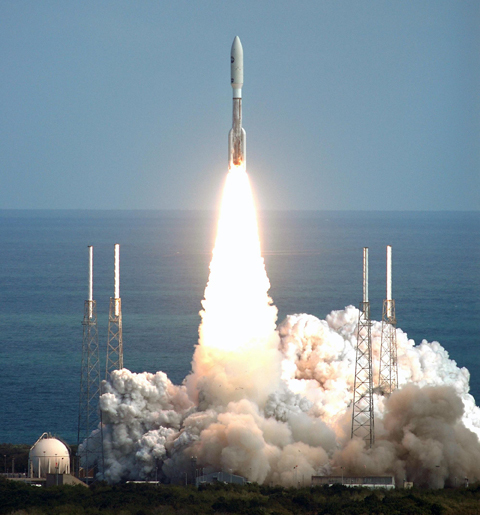 New Horizons launched seven years ago – on Jan. 19, 2006 – on what we think is the most audacious space exploration mission of all time! 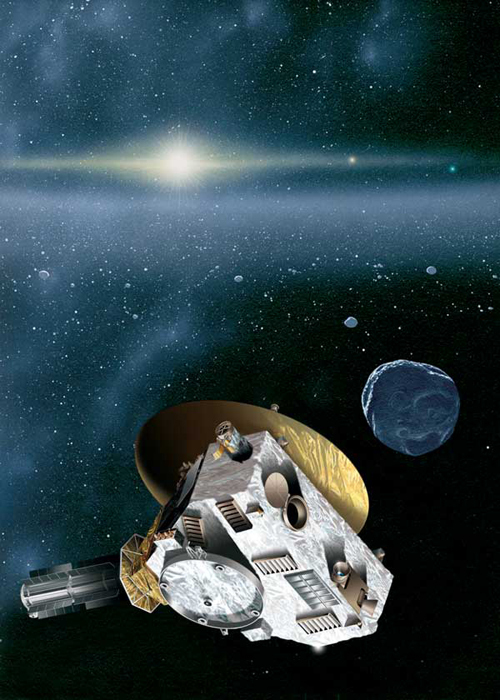 It’s been seven years since New Horizons’ launch on Jan. 19, 2006, and our spacecraft remains healthy and on course. We’re more than halfway between the orbits of Uranus and Neptune. In fact, we’re so far along the journey that we’ll cross the orbit of Neptune and enter “Pluto space” in August of next year! After seven years in flight ­— longer than many science missions operate — it’s fair to say the project team can feel that the Pluto encounter is almost around the corner. After all, 2015 is just the year after next! There’s an increased pace of activity, a sense of anticipation, and a palpable thirst for the images and other data we’ll soon have as our reward for hard work on a project with roots going back to 1989. I call this new phenomenon our “seven-year itch.” And it’s a good itch! Look back at the New Horizons launch. Anniversaries and anticipations aside, let me turn to project news. This month’s spacecraft wakeup — we were in hibernation from July 6, 2012, until Jan. 6 — is proceeding, with various maintenance and checkout activities, spacecraft tracking work, and a new software load (to squash a pesky bug) all going well. We’ll keep the spacecraft active until Jan. 30, then we’ll put her back into hibernation until May 21, when we wake up for a very busy summer of checkouts and encounter rehearsal activities. Also this summer, the New Horizons project will be hosting a major conference for the planetary science community. At this conference, which will be held in late July near our mission control center at the Johns Hopkins Applied Physics Laboratory in Maryland, planetary scientists from around the world will gather to review everything we know about the Pluto system. They’ll plan ground-based and space-based Pluto system observations to take place in concert with the New Horizons encounter, make scientific predictions about what we will learn from New Horizons, and learn about the spacecraft and payload’s capabilities so they can prepare — as we are — to analyze data from the long flyby. In July 2014, a similar meeting will be held for the public and educators. That meeting will be broadly webcast, so that thousands or tens of thousands or even more interested people can follow and learn. Before I close this brief update, I do want to answer a question I get a lot: After all this work, why isn’t New Horizons going into orbit around Pluto? The reason is actually pretty simple: getting into orbit isn’t practical because of our speed. Remember, New Horizons was the fastest spacecraft ever launched. Even after climbing uphill against the Sun’s gravity for nine years, when we reach Pluto we’ll still be going 30,000-plus miles per hour — very roughly twice the speed of a space shuttle or satellite in Earth orbit. To enter orbit around Pluto we’d need to bleed almost all of that speed off with rockets. And that would require very large rocket engines and a lot of fuel, given our fast trajectory. Artist’s concept of New Horizons in the distant Kuiper Belt. (Credit: Southwest Research Institute [Dan Durda] and Johns Hopkins Applied Physics Laboratory [Ken Moscati]). The only alternative would have been a slower, longer flight – many decades long – that would have meant a slower arrival, but that wasn’t in the cards either politically or budgetary — not to mention from a standpoint of all of our lifetimes! So, long story short, we can’t get into orbit, and could not find a practical way to design such a mission that could actually be sold to NASA and Congress when we proposed it. It’s also fair to point out that a flyby has other advantages beyond being a quick mission – taking only 9½ years to cross more than 3 billion miles. The flyby allows us to go on and explore farther into the frontier of the Kuiper Belt, and we like that! I’ll close with that thought. I plan to provide another update as we near summer’s intensive mission operations. Thanks again for following our journey across the deep ocean of space, to a new planet and a truly new frontier. Until I write again, I hope you’ll keep on exploring – just as we do!